Deciding on things to do in Ireland can prove difficult as there is so much to see with beauty around every corner. There are certainly sights that are more famous than others, but how do you decide between all these amazing places? In my opinion, when you visit Ireland it’s all about mixing together the major landmarks, the culture, and the landscapes. Balance is key. Wherever you decide to go in Ireland I can assure that you will not be disappointed! I have put together a basic itinerary that offers a great mix of city, country, and culture. This is especially useful for the first timer to Ireland as it covers the country’s most famous sights. Total trip time: Range from 10-14 days. I highly recommend at least 10 days if you want to get a good overview of Ireland. Limit your time in Cork to just a single day. If time allows, The Ring of Kerry should require 2 days but this can be done in 1 day. Cut out Galway city if time does not allow you to make your way north from the Ring of Kerry. Tip: If you have only 3-5 days in Ireland my recommendation would be to just do Dublin for a day or two, and then one other area like Ring of Kerry, Cliffs of Moher, or Galway City. You can really only get in the amazing sights below with a minimum 10 day trip, preferably more. Flying into Dublin is always the cheapest and easiest way to explore the rest of Ireland. It’s easy to fall for charming, crazy, and colorful Dublin. The laid-back Irish capital is a somehow harmonious blend of Victorian pubs, rows of elegant Georgian town houses in silvery stone, and glittering modern buildings. With a permanent population of nearly 1.7 million, more than a third of the Irish people either live in or near this city. Recommended to stay a couple days in Dublin to take in all the sights and culture. And of course Temple Bar. No visit to Dublin is complete without a visit to Temple Bar. Dublin’s most visited neighborhood is a maze of streets and alleys sandwiched between quaint streets and historic buildings. During the day the area is awash with shops, street vendors, and travelers. Nighttime sees the area come alive with some of the city’s most famous bars and music venues. This is by far the liveliest area of Dublin! From Dublin I recommend renting a car and heading southwest toward Kilkenny. This is a great place to stop for just a single night along the way to Cork and Southern Ireland. At the heart and soul of medieval Ireland, Kilkenny is famed for its electric atmosphere played out in its maze of narrow Norman alleyways, twisting and turning around abbeys, cathedrals, and crumbling city walls. There’s even an early 13th century castle dropped in the middle of it all that’s surrounded by beautiful gardens, a must-see on your discovery of charming Kilkenny. Along the route from Kilkenny to Cork you may want to stop at the Rock of Cashel. Cashel’s rich history is reflected in its built heritage, from prehistoric raths to medieval monasteries and fortified town houses, a Georgian Cathedral and a 21st century Library. Legend associates the Rock of Cashel with St. Patrick, but the name comes from Caiseal, meaning “stone fort,” and the hill was originally the residence of the kings of Munster. Excavations have revealed some evidence of burials and church buildings from the 9th or 10th century, but it was in the early 12th century that the Rock began to be developed into a major Christian center. Tip: Don’t miss Cormac’s Chapel, the Romanesque wall paintings, and the beautiful cathedral. Recommended to spend 1-2 hours visiting. Steeped in history, Cork City is fast gaining a reputation as one of Europe’s most eclectic cities. Like Venice, the city is built upon water, and the city center is built on an island in the River Lee, just upstream of Cork Harbor. The two channels of the River Lee which embrace the city center are spanned by many bridges, and this gives the city a distinctive continental air. Cork is where you will make base camp to explore nearby Blarney Castle and the Jameson distillery. This is the main draw for visitors as both sights are within easy reach of the city. Tip: I recommend staying 2 days in Cork. One day to explore the eclectic city, and the other to do Blarney and the Jameson Distillery. Enjoy some traditional Irish music at An Spailpin Fanac. Just 5 miles outside of Cork, Blarney Castle is a must see. Over the last few hundred years, millions have flocked to Blarney, making it one of Ireland’s greatest treasures. Blarney Castle, as viewed by the visitor today, is the third to have been erected on this site. The first building in the tenth century was a wooden structure. Around 1210 A.D. this was replaced by a stone structure. In 1446 the third castle was built by Dermot McCarthy, King of Munster of which the keep still remains standing. Climb the castle steps and kiss the world famous Blarney Stone to gain the gift of eloquence. A favorite feature of the site that is often overlooked are the surrounding grounds and gardens. You can stroll the expansive castle gardens displaying all type of magical flora and fauna. I recommend at least a half day to properly explore the castle and the grounds. Also only a few miles outside of Cork, lies The Jameson Distillery. You could easily visit the Distillery and Blarney in the same day. Expert guides will lead you through the extraordinary story of Jameson Irish Whiskey. A short film sets the scene before the tour guides walk you through the old distillery. Guided tours last an hour and a half, ending with a complimentary glass of Jameson Whiskey and a chance to take part in a tutored whiskey tasting to become a certified Irish Whiskey Taster! You can get in the visit and tour in 2-3 hours. Head west from Cork to find unspeakable beauty. Situated at the north end of the Ring of Kerry, Killarney is one of Ireland’s leading tourist destinations due to the abundant lake and mountain scenery. Tourism in Killarney dates back to the mid-18th century, when Thomas, fourth Viscount Kenmare worked at attracting visitors and new residents to the town. A visit by Queen Victoria in 1861 gave the town huge international exposure. The 111 mile route around County Kerry is referred to officially as the Iveragh Peninsula. The are endless beautiful panoramic landscapes and picturesque villages. Known locally as ‘The Kingdom’, Kerry is the crown jewel of Ireland’s scenic locations. Tip: It is recommended that cars travel in the opposite direction, going first to Kenmare and driving west on the N70 (counterclockwise) to avoid delays caused by tour buses. The best way to enjoy Kerry is simply to drive through the route, and stop when you feel like it! Budget most of the day to get through the entire ring. Head north from the Ring of Kerry along Ireland’s west coast. Ireland’s most visited natural attraction is The Cliffs of Moher. This magical vista captures the hearts of up to one million visitors every year. Standing 702 ft at their highest point they stretch for 5 miles along the Atlantic coast of County Clare in the west of Ireland. Tip: The nearby O’Brien’s Tower allows access to the rooftop area that offers the best photo opportunity of the Cliffs. You could spend anywhere from 1 hour to several hours here wandering the cliff sides and taking in the stunning views. Wander Galway City’s cobble-stoned streets and feel yourself stepping back in time to Medieval Ireland. Known the world over for its friendly people, charming streets, shopping and nightlife, Galway will refresh flagging spirits like no other place. 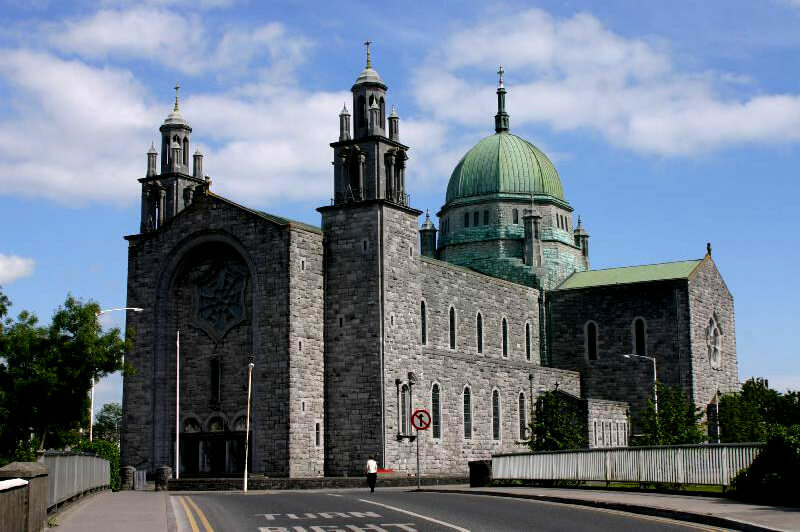 Galway City originally formed from a small fishing village located in the area near the Spanish Arch. Galway later became a walled town in the year 1232 after the territory was captured by the Anglo Normans. The town walls, some sections of which can be seen today, were constructed circa 1270. A charter was granted in 1396 by Richard II which transferred governing powers to 14 merchant families, known locally as the 14 tribes of Galway. Galway is a fun city but 2 days would be enough to get a great overview of the place. Situated in the West of Ireland in County Galway, Connemara National Park covers more than 7,000 acres of scenic mountains, expanses of bogs, grasslands and woodlands. Some of the park’s mountains are part of the famous Twelve Bens or Beanna Beola mountain range. The absolute best hike in the park is the Diamond Hill Walk, which will take you up the park’s main mountain offering breathtaking views of the surrounding countryside. Stop by the visitor center for a detailed map of the walk. Tip: It is advised to hike the mountain in clear skies and decent weather. Depending on the type of hike you choose, it is advised to a lot most of the day for exploring Connemara. Swooping down from the mountain of Slieve League, these cliffs are among the highest sea cliffs in Europe. From the highest point on the cliffs, it’s a staggering 1,998 foot drop into the swirling Atlantic Ocean below. Tip: If you book a guided walk or hike of the cliffs, you will be able to experience insights into the local wildlife and spectacular geography. Grab a bite to eat at the Tí Linn Café before you go, which will set you up for the bracing walk ahead. Just like the Cliffs of Moher, the time you spend here is dependent on you but allow at least a couple hours to enjoy it all! Irish culture has many different meanings. There is no set definition of Irish culture but there are a few symbols which are unique to Ireland. Ireland is often called the ‘land of saints and scholars’ referring to the golden age of monastic learning, or ‘the emerald isle’ referring to the green landscape. Many Irish people view themselves and others in terms of what part of Ireland they are from. Ireland is divided into 32 counties. The Republic of Ireland consists of 26 counties, and Northern Ireland (part of the U.K.) of six. It is also traditionally divided into the four provinces of Connaught, Leinster, Munster and Ulster. Traditionally Irish society has been one of emigration. For hundreds of years more Irish people left Ireland than immigrated to Ireland. The most notable periods of emigration were following the great potato famine in 1845 and more recently in the 1950s and 1980s when large numbers of Irish emigrated to look for a better life. Many millions of people around the world particularly in the UK, USA, Australia, Canada and New Zealand claim Irish ancestry. The Irish flag was first introduced by Thomas Francis Meagher in 1848 who based it on the French tricolor. However, it was not until after the Easter Rising of 1916, when it was raised above the General Post Office in Dublin, that the tricolor came to be regarded as the national flag. The green section in the flag symbolizes the older majority Gaelic tradition of Ireland, made up mainly of Roman Catholics. The orange represents the mainly Protestant minority. The white in the center signifies a lasting truce between the two cultures and living together in peace. Popular culture in Ireland is very similar to many other Western countries in terms of TV, cinema and popular music and literature. However, one aspect of popular culture in Ireland that makes it somewhat different to others is the popular pub culture. The term ‘pub’ refers to a ‘public house’ or bar. While there is a recognized issue of over-consumption of alcohol in Ireland, pub culture is about more than just drinking. Typically pubs are important meeting places, where people can gather and meet their neighbors and friends in a relaxed atmosphere. The character of pubs varies widely according to the customers they serve, and the area they are in. In Ireland sports play a big role in the local communities and society in general. These popular areas can be divided into professional sports that offer visitors a fun day out for spectators, to a range of activities that take advantage of the spectacular Irish outdoors. The main sport on a national level in Ireland is the indigenous GAA games of hurling and Gaelic football, which enjoy nationwide popularity ahead of rugby and soccer.